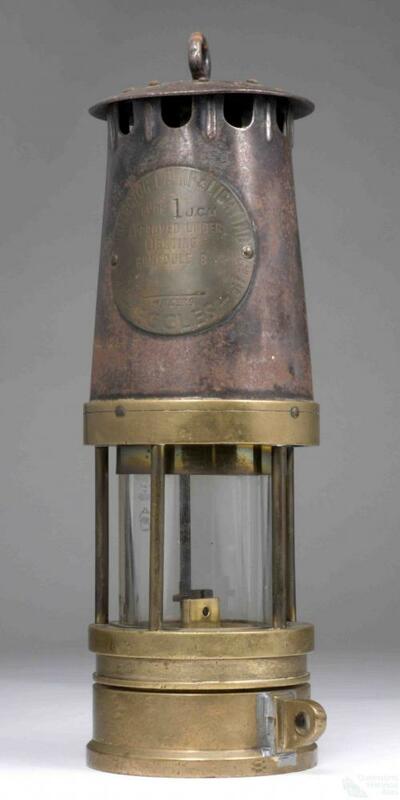 Miners used safety lamps such as this from the nineteenth century to light underground mines. In coal mines they shielded the naked flame from potentially explosive mixtures of methane and oxygen. The flame is also an indicator of the presence of toxic and explosive gases. Description: Brass and steel lamp with carry handle loop on the top and a glass cover on the bottom of the lantern.